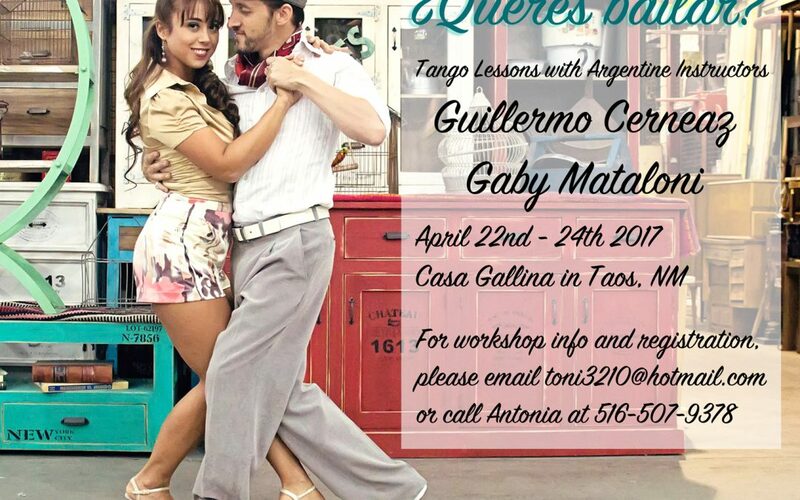 We are excited to announce Guillermo and Gaby, incredible teachers from Buenos Aires who will be teaching a weekend of workshops here in April! 5:00PM- 6:30PM: Playing With the Rhythm: Tuning Ourselves to the Music. 2:00PM- 3:30PM: Milonga, it don’t mean a thing if it ain’t got that swing! Also, we will be offering an Advanced Seminar on Sunday evening (April 23rd) for couples only (please inquire in private message). Gaby & Guillermo will be available for private lessons between April 22nd and April 25th/26th 2017) either separately or teaching as a couple. Make sure to take advantage of their discounted private lesson- packages! 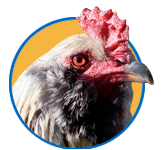 We are offering these workshop deals as a EARLY BIRD SPECIAL. Register before April 15th to take advantage of these prices! After, April 15th prices will be offered a la carte only. So make sure to save some money and register fast! 3 hour- packages will be done in 2 sessions of 90 minutes (2x 1.5 hours). 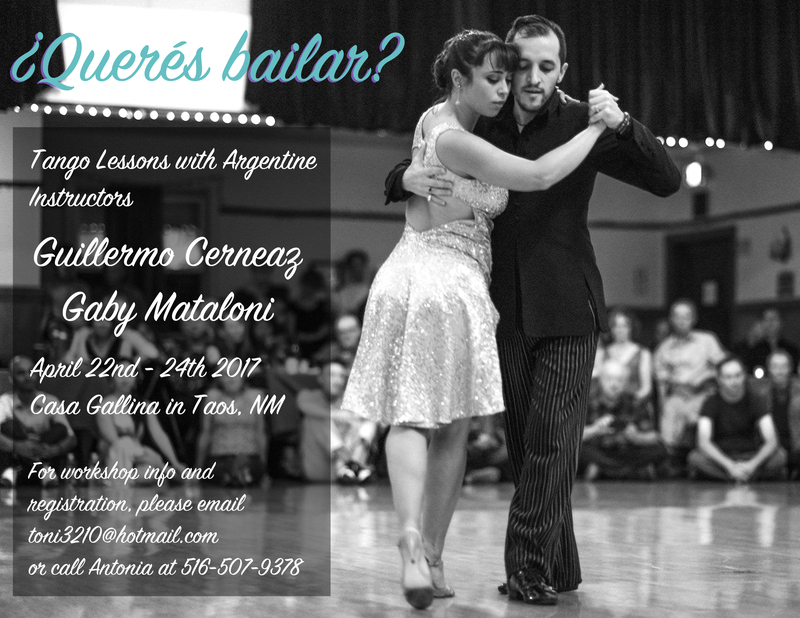 As always, we will be having a MILONGA on Saturday April 22nd at Casa Gallina from 8PM- 1AM. Guillermo and Gaby will be giving a taster of their dance expertise by performing that evening! We hope to see all levels of dancers at our Milonga… whether it is for a tanda, a glass of wine or just simply to watch a beautiful, artistic tango performance! Please register for the workshops and/or private lessons by emailing toni3210@hotmail.com or shooting me an email at richard@casagallina.net. Or call me at 575.758.2306.